While sprinkler systems are not mandatory in Texas apartment complexes, many are the public safety officials who would recommend otherwise. As Montgomery County Fire Marshall Jimmy Williams told the Houston Chronicle back in 2012, the simple reality of apartment living includes the inevitable fire that can spread quickly among densely-packed units, putting lives and belongings at risk. Williams went on to explain that at complexes with sprinklers, 90 percent of fires are extinguished before the authorities arrive. So, even without a mandate, prudent builders across the Lone Star State are realizing that sprinklers are more necessity than accessory, and more investment than cost, with insurance savings and fewer headaches among the multiple reasons to include the devices in new construction or renovations. 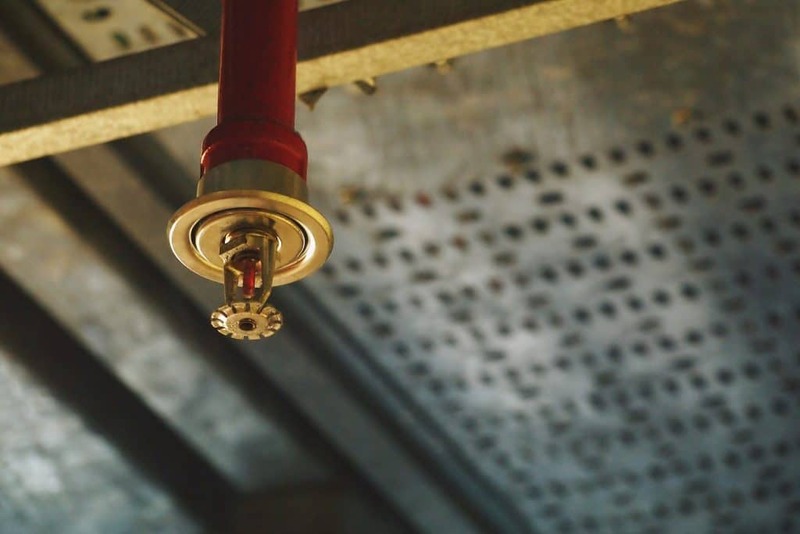 For those builders, Victory Fire Protection LLC, conveniently located in the unincorporated community of Elm Mott on the Interstate 35 corridor between Dallas-Fort Worth and San Antonio, is becoming the go-to sprinkler specialist. One that operates in good faith. Literally. The ultimate family operation with three husband-wife teams sharing the mantle of leadership, Victory Fire Protection was founded just three years ago by folks well-versed in the trade. 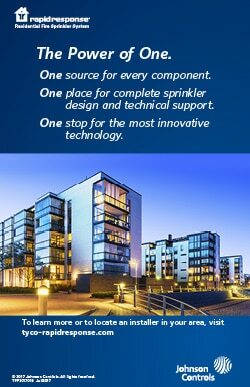 Already one of Texas’ leading sprinkler designers and servicers, Victory Fire Protection also frequently performs as an installation subcontractor for apartment builders throughout Texas and sometimes into Oklahoma. Last year’s work included comprehensive sprinkler projects at numerous garden-style and wrap-around apartment villages throughout Texas. Sold on the quality of Tyco Fire Products, the company is a Tyco Premier Contractor, although it does carry other lines. Victory Fire Protection’s owners also answer to an authority higher than any product line, or state or county safety official. The women’s husbands share vice presidential duties and, being industry veterans and licensed through the Texas Department of Insurance, they’re the ones who work with the builders and apartment owners. EC Prickett Jr. is vice president of general operations while Randy Griffin is VP of field operations and Justin Arnett VP of sales. EC and Randy are also both ordained ministers. That family dynamic extends to the work force of over 50, down a few from 2016 when the Texas apartment building industry was enjoying one of its most robust years with nearly 70,000 units going up in the major metropolitan areas of Dallas-Fort Worth, Houston, Austin and San Antonio. But there’s still a steady demand for Victory Fire Protection’s services, and while maintaining its reputation in the multifamily rental housing industry, the company is expanding into commercial, residential and health-care projects. Eager to retain its work force through times thick and thin, Victory Fire Protection incentivizes the crew with travel reimbursements, health and life insurance, and vacations. Such loyalty is rewarded. Which, of course, goes back to answering to that higher authority. While the three men were active in the building trades prior to Victory Fire Protection’s founding, all were eager to try something on their own, a challenge eased somewhat by their accumulation of a loyal customer base that would follow them to the new company. They also had the support of their wives, whose office and managerial skills could so complement work at the building sites. Still, as is the case in any start-up, there were times when meeting the payroll was a challenge and they were literally praying for work. Times like that could try anyone’s soul, but Sherry said they never were in it alone. More earthly forces also seem to grace Victory Fire Protection. Apartment construction may not be as strong as it was last year and some places, among them Houston, may have overbuilt, but the Texas economy is generally healthy and not just energy dependent. The state still tops the list of the fastest-growing metro areas, with young people a big part of that demographic and likely to rent before seriously pondering a purchase. At a builders conference in Orlando, Florida, earlier this year, experts pointed out that apartment leasing and occupancy in North Texas were still at record levels, and the trend was likely to continue even if construction dipped. Some lenders might be less eager to extend financing, but the bottom would not be dropping out of the large-scale rental market. “In general, it’s just tougher to get new projects going,” Greg Willett of MPF Research was quoted in the Dallas Morning News. That’s no reason for Sherry and her associates to lose faith. Especially as they share the conviction that their work serves more than just the apartment builders and owners.